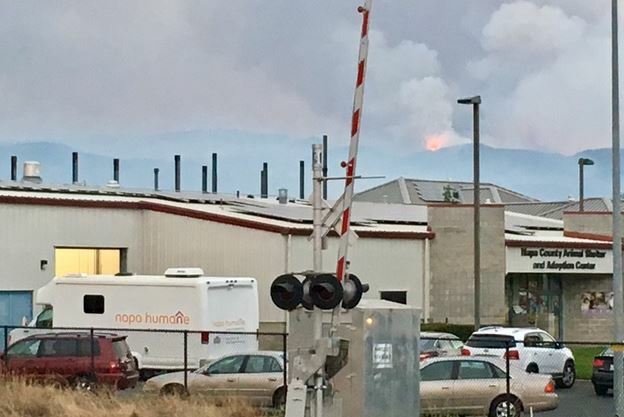 Large-scale evacuations like the ones we just experienced posed serious challenges to our local emergency response, but Napa’s animal welfare organizations came together to help support the affected animals. Napa Humane deployed our staff, pet sheltering and transportation facilities, veterinary services, and informational resources to support the emergency response efforts led by the Napa County Animal Shelter (NCAS). 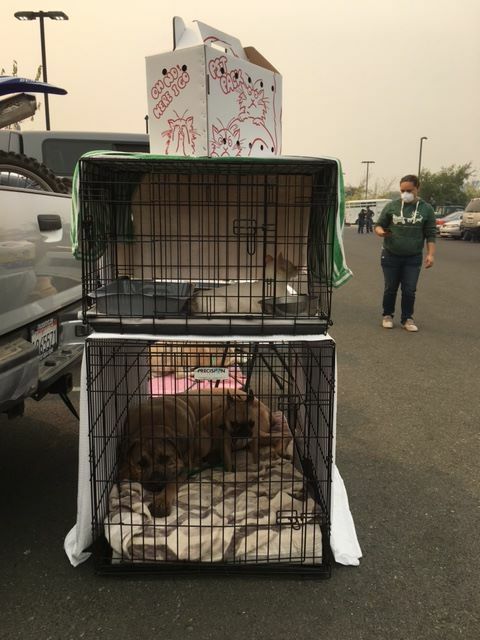 Our team members helped NCAS set up the emergency pet shelter at the Napa Valley College, provided flea treatments there, and made a mobile cat shelter available in case of additional evacuations. We also helped transport evacuated cats and dogs between shelter locations to maximize available space. As an overflow pet evacuation shelter, our Napa Clinic took in sick and injured animals who had been undergoing treatment at the evacuated Calistoga Pet Clinic, and worked with their vet to ensure uninterrupted medical care during their evacuation. Our vets made rounds to tend animals at both the College and Crosswalk Community Church shelters, and our office staff prepared and updated a daily report of which Napa County vet offices were open and seeing patients. We offered information about pet evacuation resources through our information hotline and Facebook, providing details on pet-friendly shelters, donation needs and volunteering opportunities when no other organizations were. We fielded more than 1400 calls the first week of the fire, and shared our posts with more than 30,000 people. 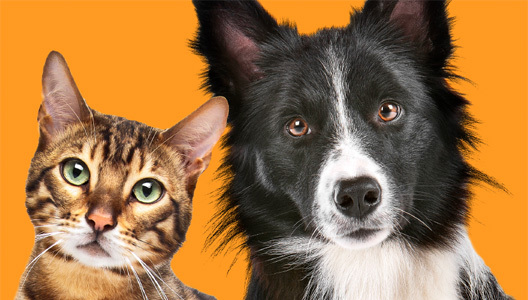 By October 16, our Clinic was open for regular business again and offering special drop-in hours each day for free microchipping and pet ID tags. We have also been providing free spay/neuter, vaccines, flea control, and microchipping to the pets of people affected by the fires. We continue to be an informational resource for those in need, offering assistance in every way we can. It was an honor and privilege to work with our animal welfare colleagues around the Valley. Together, our community coordinated safe, humane treatment of hundreds of local pets during a terrifying time, and proved once again what a compassionate, loving, and resilient community our Napa Valley is.